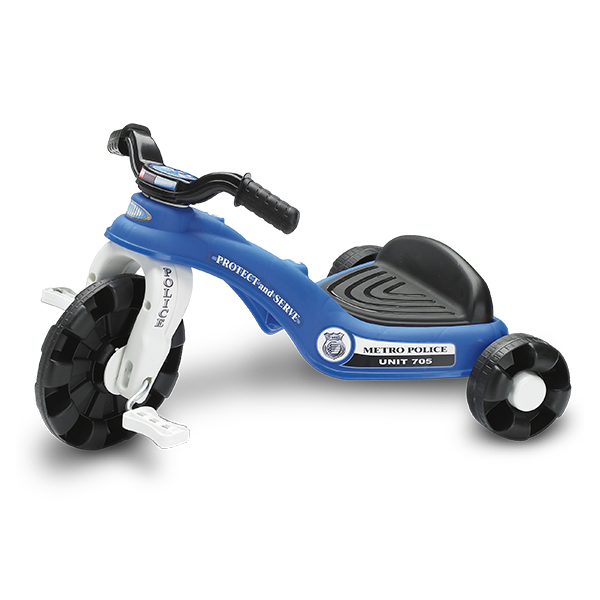 POLICE MINI TRIKE | American Plastic Toys Inc. Learn to ride on this tricycle! Designed for eighteen-month to four-year-old riders. Solid construction and sleek styling with strong, steel axles, and police graphics. Packaged in a colorful, corrugated carton with a full color litho label.